The Louisiana congressman was gravely wounded in a shooting at a baseball practice three months ago, returned to the Capitol on Thursday to cheers and a standing ovation in a packed House chamber. 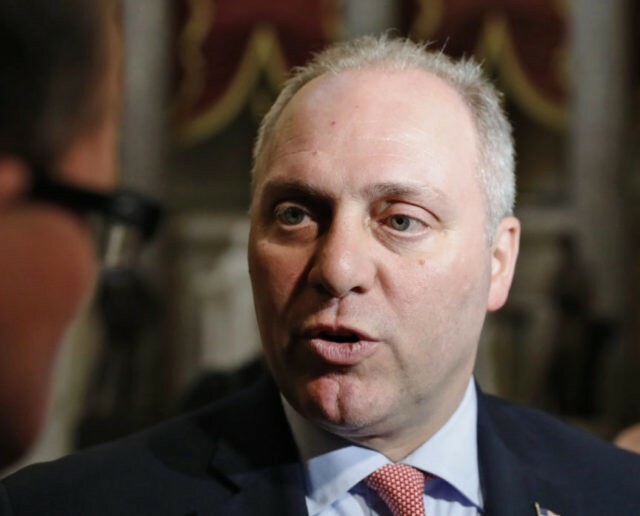 Scalise described what transpired that early morning in June, thanked the members of the U.S. Capitol Police who exchanged fire with the gunman and the physicians who put him back together. He also thanked his wife, Jennifer, who watched from the visitor’s gallery. Cheers and sustained applause greeted Majority Whip Steve Scalise as he returned to the House. Slowly and with a sense of purpose, Scalise made his way into the chamber. He was wounded three months ago when a gunman opened fire at a Republican baseball practice. All members of the House stood and applauded. The Louisiana Republican relied on crutches to walk. The congressman shot in June at a baseball practice is returning to work at the Capitol after three months in the hospital and at a rehabilitation facility. That’s the word from Majority Whip Steve Scalise’s office. The Louisiana Republican will vote Thursday morning and address his colleagues on the House floor. This is his first public appearance since the shooting.